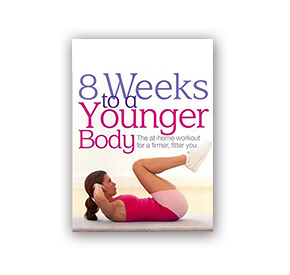 Providing readers of all ages with simple and effective strategies to stay fit and lean. A jam-packed guide that includes and demonstrates more than 200 exercises to rev up the metabolism, build healthy bones, and tone the overall body. Women who find the gym intimidating will appreciate Joan's home-friendly, time-efficient workouts. Strength training improves your muscle tone and appearance while reducing your risk of developing diseases that we associate with aging: osteoporosis, diabetes and heart disease. You are never too old to start strength training. Four expertly designed 15-minute abdominal workouts suitable for all levels of fitness. The exercises target the midsection from every angle, using a variety of positions to give you the best results. Discover how you can beat your body clock in just eight weeks with this smart, customized exercise plan by fitness expert Joan Pagano. Drop a decade by creating your own easy-to-follow exercise program, designed to boost your health and vitality and banish the effects of aging. Too busy to exercise? 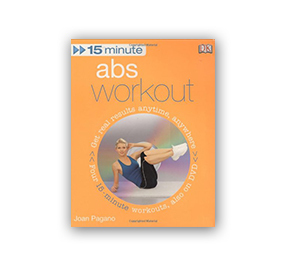 Joan Pagano's 15-Minute Total Body Workout + DVD gives you all the tools you need to create an exercise habit with a minimum investment of time and resources. 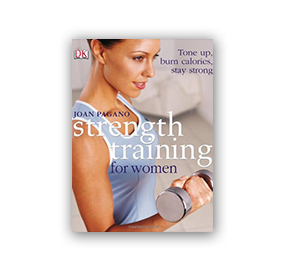 Based on Joan Pagano's popular book, Strength Training for Women, this handy deck of exercise cards makes your workout completely portable. Take them with you when you're on the run, going to the gym or traveling. Pilates, Yoga, Abs And Body Toning express workouts to do at home for a fit, fabulous body. See real results with just 15 minutes a day, three times a week. Clear step-by-step photos show you exactly what to do.